LINQ is a great tool for C# programmers letting you use familiar syntax with a variety of back-end systems without having to learn another language or paradigm for many query operations. Ensuring that the queries still perform well can be a bit of a chore and one set that fails quite badly are the aggregate operations when you want more than one. Will issue three separate requests. There is nothing a LINQ provider can do to optimize that pattern as they are three discrete statements. Many data sources including SQL are happy to provide aggregate values without a group by so how do we generate that from LINQ? If we are performing counts with a predicate or against a where we can also optimize these. There is a fair amount of info on making and publishing NuGet packages but I couldn’t find a simplified guide for the simple case. 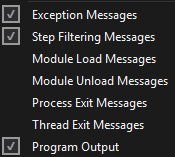 Here it is and start by downloading nuget.exe and putting it in your path. If you can go with PCL do it. For CSharpAnalytics we use platform-specific system info and hooks so it’s not an option – we went with multiple projects. Now that you know which release dll files you need to include you can go ahead and create the nuspec file that tells nuget how to package your files up. Each platform will require a specific target and they should use platform name (e.g. net45, sl5, windows8) described in the NuSpec creating packages documentation. That page has a lot more detail on things such as content file types etc. If you prefer a graphical UI then NuGet Package Explorer will make your life easier. Remember to check your .nuspec file to source control (there is nothing private in it) and add it to your solution as a solution item so it doesn’t get missed. If all goes well it will create yourfile.nupkg. Create a new test application and then add a reference using Manage NuGet Packages to choose your new package from your test repository. Write a few lines of code to test you can actually use your package OK! Okay, you’re now ready to publish. If you haven’t yet signed up for an account over at Nuget.org you’ll need to do that first.